Chris Cotman was educated at Tudor House School, Moss Vale, NSW, and The King’s School, Parramatta. He gained his Real Estate Certificate from Randwick CAE and worked with Knight Frank NSW between 1973 and 1988 and Argyle Lane Corporation Pty Ltd from 1989 to 1991. 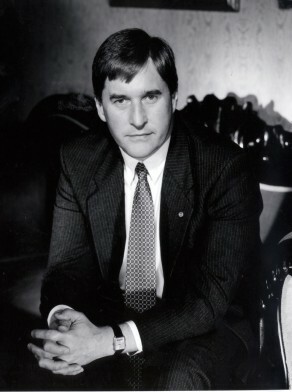 From 1991 to 1998, he was General Manager (Property Services Division) with FAI Property Services Pty Ltd and later manager of FAI Insurances Property Division, responsible for corporate assets. From 1998 he was Project Director of CDH Properties. He is a Fellow of the Australian Institute of Valuers and Land Economists and Executive Committee member of the Property Council of Australia. In February 2002, he moved as property consultant from Knight Frank to rival group Laing + Simmons. He is a member of BOMA (Building Owners and Managers Association). Chris Cotman is a member and past director of Sydney Cove Rotary Club. Chris Cotman was elected to Council in September 1995 for a four year term to 1999. He was a member of the Planning, Finance, Projects and Public Spaces Committees. He was a member of the Sydney Alliance Group.